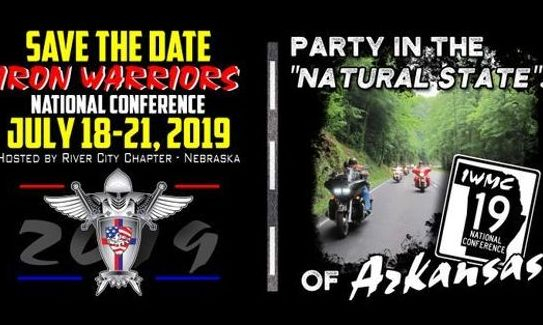 Welcome to Iron Warriors MC Nation, the national website of the Iron Warriors Motorcycle Club, representing approximately 600 members across the United States; 45 chapters in 20 States. The Iron Warriors Motorcycle Club is a non-profit organization of current and retired law enforcement officers and firefighters. The Iron Warriors own and ride V-twin motorcycles made by American-owned companies. The camaraderie of riding with like-minded individuals strengthens the dedication in providing assistance and support to our communities, departments, families and members. The IWMC membership contributes much of its free time toward the efforts of raising money to support the families of Fallen Police Officers and/or Firefighters. The IWMC additionally supports our Veterans of the military, as they have sacrificed much, and some sacrificed all. The IWMC generosity is not limited to Law Enforcement, Firefighters or Veterans. Individual chapters will routinely seek out those struggles within their community, to show support and express their gratitude for the support given to them by our communities. Support your local IWMC next time you see them hosting an event!